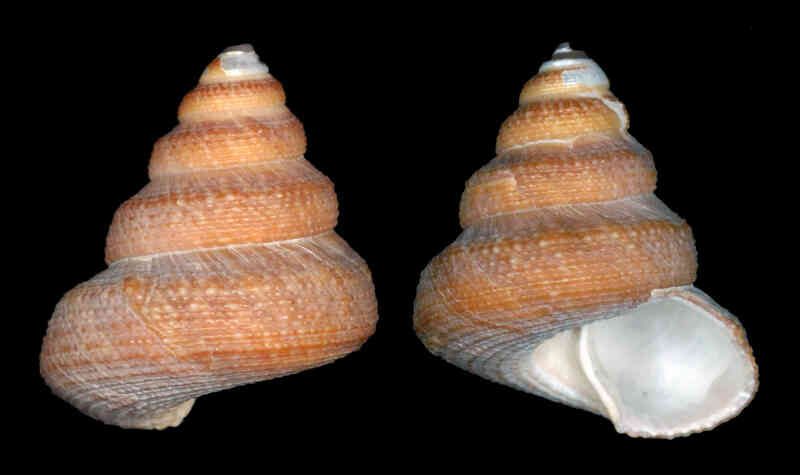 Shell size to 18 mm; shell turbinate, spire angle about 65 degrees. Whorls stepped, shoulder well-defined, giving stepped aspect to spire. Whorls covered with six finely beaded spiral lines that alternate with narrower lines. Color tan, vaguely mottled with white. Protoconch darker. Umbilicus lacking, center of base whitish. The supplementary image (darker shell) is of a specimen with an unusual whorl architecture and opened umbilicus (alterations probably caused by a predator-inflicted wound to the mantle edge) that imparts a "deep suture" look to the shell. 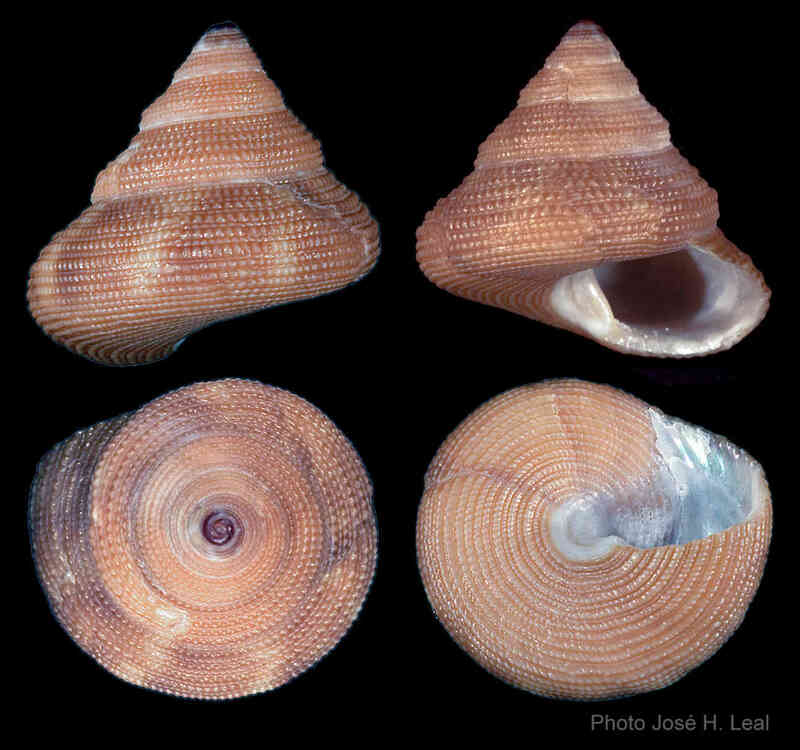 This latter shell belongs to and was collected in January 2015 by Bruce Carabelli in Kice Island, Collier County.